[Herbert Spencer advises Bertrand Russell's mother on 'Questions of Education''.] 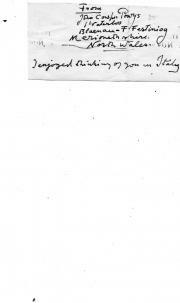 Autograph Letter Signed ('Herbert Spencer') to Lady Amberley, discussing his views on 'Questions of Education'. On letterhead of the Athenaeum Club, London. 30 March 1869. 4pp, 12mo. Bifolium. In good condition, lightly aged, with thin strip of stub from mount adhering to one edge. He finds her 'proposal', that he should visit her 'at Rodborough at the beginning of May', 'well adapted, by the deferred date, to my arrangements. Had the time named been nearer, I should have hesitated, for after three months of enforced idleness I am beginning to do a little work, and I could hardly reconcile it to my conscience to take a holiday. But at the beginning of May, I hope to have a quantity of M. S.
[James Bertrand Payne, fraudster who brought down the London publishing house Edward Moxon & Co.] Four Autograph Letters Signed to H. Cholmondeley-Pennell, one explaining his retirement from the firm, and two about Pennell's book 'Crescent'. The first two on letterhead 44 Dover Street, Piccadilly, London, W. [i.e. the premises of Edward Moxon & Co.], 17 and 26 October 1868. The third from The Grange, Brompton, 22 February 1869. The fourth with no place, 23 May 1869. The four letters are in good condition, with light signs of age and wear. Written in Payne's neat and mannered hand, and all four signed 'J Bertrand Payne'. For the background to the correspondence see Jim Cheshire's article 'The Fall of the House of Moxon', Victorian Poetry, Spring 2012. Payne was manager of the London publishing house Edward Moxon & Co., celebrated for their association with poets. [Alys Pearsall Smith, first wife of Bertrand Russell.] Autograph Letter Signed ('Alys Russell') to 'Mr Armstrong' [radical journalist George Gilbert Armstrong], regarding his 'valuable little pamphlet'. On letterhead of 11 St Leonard's Terrace, Chelsea, S.W. [London] 29 June 1917. She thanks him for sending his 'most interesting & valuable little pamphlet', which she will give to her friends to read, hoping that it will 'really help at this most difficult time'. She is struck by his 'footnote about “The Freedom of the Seas”', and wishes she 'could really understand that subject'. She ends by asking (disingenuously?) if anything has been written which 'puts your point of view at more length & simply enough for an ordinary mortal to take it in'. The pamphlet referred to is presumably Armstrong's 'Peace with Security' (1917). [James Bertrand Payne, editor and author.] Three Autograph Letters Signed to H. Cholmondeley-Pennell, written around the time of his prosecution by the London publishers Edward Moxon & Co., and launch of his magazine 'The King of Arms'. All three on letterheads of Tempsford House, the Grange, Brompton, S.W. [London] One from 1871 and two from 1873. The three letters are in good condition, lightly aged. All three signerd 'J Bertrand Payne'. The first has a letterhead in red, the other two have a different letterhead in blue. Both designs feature exuberant monograms and lettering in Victorian Gothic type, which, together with Payne's exuberant handwriting (the last letter also being written in purple ink), accurately reflect the character of the man Tennyson angrily dismissed as 'peacock Payne'. Three excellent letters, the background to which is of interest. [ 'Smith Payne & Co.' [John Moyr Smith and James Bertrand Payne].] The Anglican Mysteries of Paris, Revealed in the Stirring Adventures of Captain Mars and his two friends Messieurs Scribbley & Daubiton. London: E. Moxon, Son & Co., 1870. The author of the text of the present volume, J. B. Payne, was manager of the book's publisher Moxon, and ruined the firm with his sumptuous editions, including one of Tennyson's 'Idylls of the King' with illustrations by Gustav Doré, which determined Tennyson to forbid future illustrated editions of his work. The market for the present volume would have been limited, and the cost of producing it so high, that it is hard to see how it can have covered its costs. + 53pp., 4to. Each of the 56 pages is lithographed in black against a light-brown background, on thick art paper. [ Lady Agatha Russell, daughter of Lord John Russell. ] Autograph Letter Signed ('Agatha Russell. '), regarding 'The Inquirer', her father's views on free trade and the repeal of the Corn Laws. 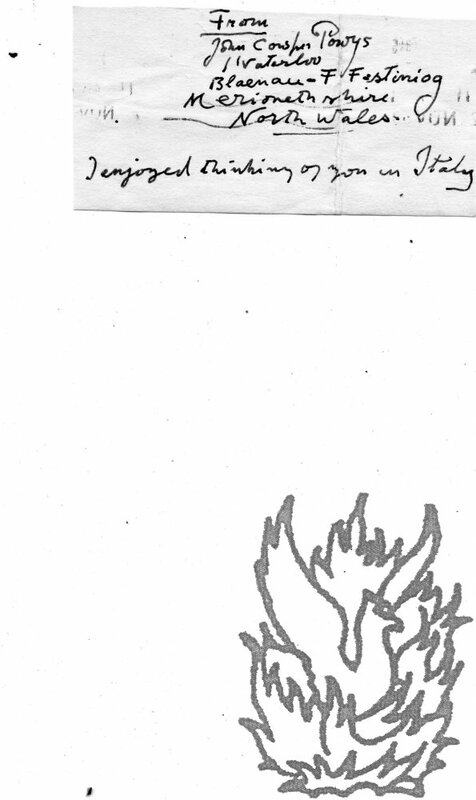 On letterhead of Rozeldene, Hindhead, Surrey. 18 April 1930. 2pp., 12mo. In good condition, lightly aged. Written in a shaky hand. The letter begins: 'Dear Sir | I was much obliged to you for the extra copy of The Inquirer which I was glad to have, containing very good letters supporting Free Trade. It is a subject on which I feel strongly – perhaps inherited from my father! [ Bertrand, Count Clausel, Marshal of France. ] Autograph Note Signed ('Mal Clausel'), in margin of a petition from the widow Sallemant to Baron de Schonen, requesting a the continuance of a civil list pension. The petition dated from Paris, 18 July 1838. 1p., folio. In fair condition, on aged paper. The petition is headed 'A Monsieur le Baron de Schonen | liquidateur de l'ancienne liste civile', with 'Sallemant' (the name of the petitioner) beneath it in another hand. Clausel's note, of eleven lines of a few words each, is in the left-hand margin, and recommends to 'la bienveillance de Mr. de Schonen' the petition of a woman who describes herself as 'une malheureuse veuve'. Laid down on the reverse is a piece of card, carrying a biographical note in English in an nineteenth-century hand. [ Russell family pedigree. ] Autograph 'Draft Pedigree' by Frederick Arthur Crisp of the family of Lord John Russell and Bertrand Russell, with a long entry on the Prime Minister. In printed folder ('Visitation of England and Wales') for Frederick Arthur Crisp, F.S.A., "Grove Park Press," 270 Walworth Road, London, S.E. 1918 or later. The pedigree is written out by Crisp on one side of a 37 x 95 cm piece of paper, folded twice into a 37 x 23.5 cm packet, printed on the front of which is: 'Visitation of England and Wales. | DRAFT PEDIGREE. | Please return to Frederick Arthur Crisp, F.S.A., "Grove Park Press," 270 Walworth Road, London, S.E.' The same address is embossed at the head. In good condition, on lightly-aged paper. Dated 1904 on cover, but with latest entry for 1918. In manuscript in top right-hand corner of cover is 'Russell, E.' underlined in red, with 'Bedford D' beneath it. From various locations in North America, with the copies of Dawson's replies from London: dating from between November 1929 and July 1930. The 46 items are in good condition, on aged paper, with 33 items (dating from December 1929 to July 1930) in one bundle; and 13 items (dating from between November 1929 and July 1930) in another; the second bundle described in a typed covering note as containing 'INVITATIONS TO STAY'. An interesting collection, showing the connections between American and British medicine during the period, as well as the network of North American medical faculties. Typed list of 'Documents in connection with George V's long illness. in 1928' by Lord Dawson of Penn [Bertrand Dawson, 1st Viscount Dawson of Penn], who attended on the king in his last illness, and hastened his death with a lethal injection. 1p., 4to. On piece of wove paper, watermarked 'Gray Valley | Parchment'. In very good condition, on lightly-aged paper. Neatly folded, and inserted in a brown paper envelope, carrying the following typed note on its front: 'List of Contents of documents of illness of King George V in 1928 and death.' The list is from the papers of Lord Dawson of Penn. It contains fifteen numbered items, and is headed 'Documents in connection with George V's long illness. in 1928', without authorial attribution. Item 8 is 'Lord Dawson's notes on the King's illness | Also notes from Sir H. Rolleston and Sir R.
 + 172pp., 8vo. Attractively typed up with the greatest skill and care in black, with underlining in red, on 176 leaves, interleaved and bound in an attractive red morocco leather half-binding, with cloth boards and marbled endpapers, spine in six compartments tooled in gilt with title 'THE VERLING JOURNAL', and red ribbon bookmark. In very good condition, lightly-aged in binding with the slightest wear and fading to the cloth. The text is preceded by a typed title page, a one-page 'Note' and a two-page introduction by 'Mr. Collection of 25 newspaper cuttings from Fleet Street newspapers relating to the final illness of King George V, collected and presented on letterheads for Lord Dawson of Penn, who attended on the king, by the advertising agency G. Street & Co. Mounted on letterheads of G. Street & Co., Ltd., 6, Gracechurch Street, EC3. London: April and May 1931. An interesting collection, casting light on media attitudes to the British Royal family and news management in the interwar years. Dawson was clearly mindful of publicity. As his entry in the Oxford DNB explains: 'It was Dawson who composed on a menu card the celebrated lines, ‘the King's life is moving peacefully towards its close’, having modified this from what he described as "a very commonplace" final bulletin used for Edward VII.' Penn's attendance during the King's final illness was controversial: it was later revealed that he hastened his end with morphine and cocaine. [Kenan; Keinan] Amos Keynan "One of Israel's Left-Wingers". Printed wraps, pp., 12mo.good cpondition. [End of text] "This letter originally appeared in Israel on March 22nd 1968, in 'Yediot Ahronot'". No copy on COPAC. WorldCat lists the title but doesn't cite a library. Autograph address and short note. On one side of a piece of wove paper, cut into a rectangle approximately 4.5 x 9 cm. Good, on lightly-creased paper with one vertical fold. Cut from an envelope, with traces of the postmark over the autograph, and a section of the gummed strip on the reverse. Reads 'From | John Cowper Powys | Waterloo | Blaenau - F Festiniog | Merionethshire | North Wales | I enjoyed thinking of you in Italy'. Paper entitled 'DISCUSSION: (I) Philosophy Without Science'. 12 pages, octavo. Unbound. Folded once, down the centre, vertically. Good, though grubby, and with marks from paperclip. Each of the three contributes a section. PRESENTATION COPY, with slip from Samuel, on his notepaper '32, PORCHESTER TERRACE, W.2.' on which is typed 'WITH LORD SAMUEL'S COMPLIMENTS'.